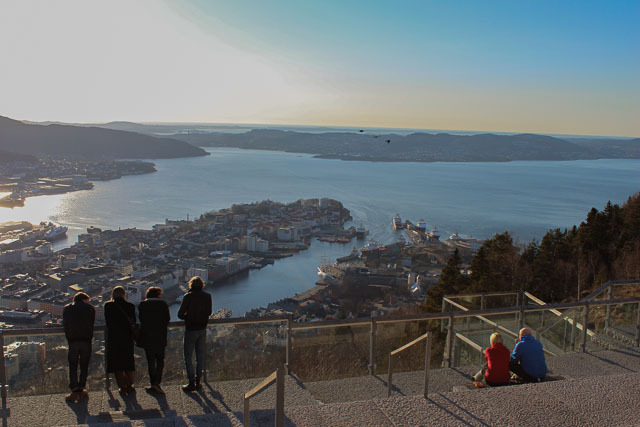 Bergen is Norway's second largest city with a population of 268 900 which puts it behind Oslo but ahead of Stavanger. It's also known as the 'Gateway to the Fjords' which is precisely why we visited as we started and finished our Norway in a Nutshell tour from Bergen. 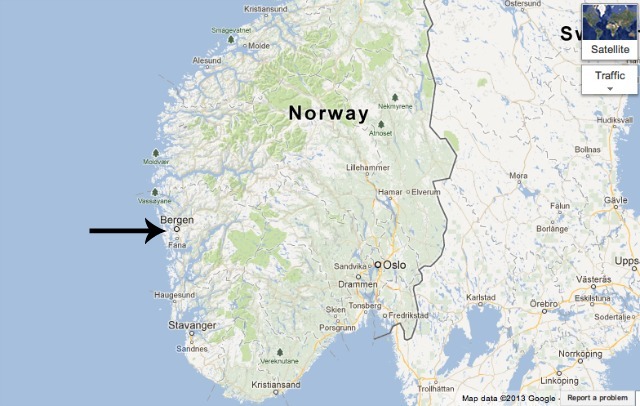 Bergen is located on the Western coast of Norway and while it's only about 210 kilometres from Stavanger, the journey via car takes close to 5 hours and requires 2 ferries. 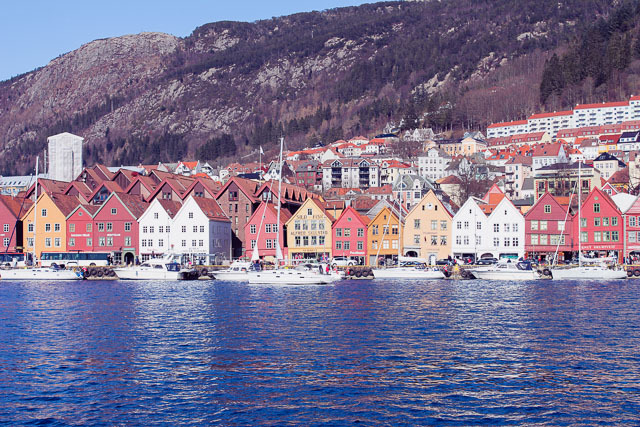 The city itself is reminiscent of Stavanger - located right on the water with the same coloured, wooden buildings dotting the central harbour and it exudes that small town charm but is indeed bigger and seemingly more mountainous. 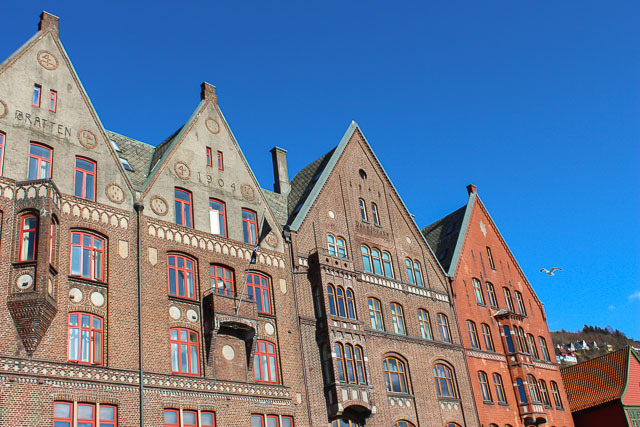 Founded in 1070, Bergen was Norway's largest town until the 1830s. 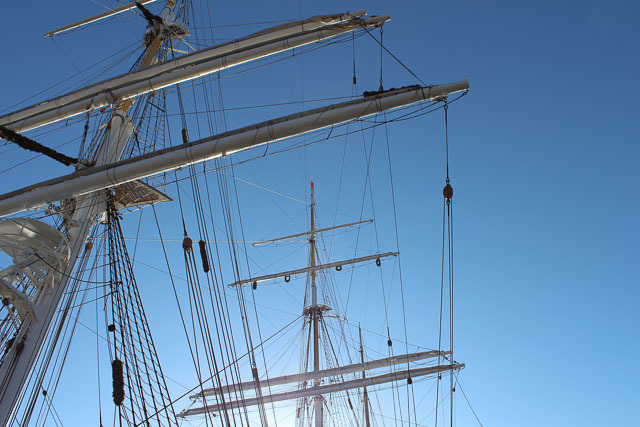 Today, tourism, fishing and oil & gas are the major industries but it's also home to a leading University. 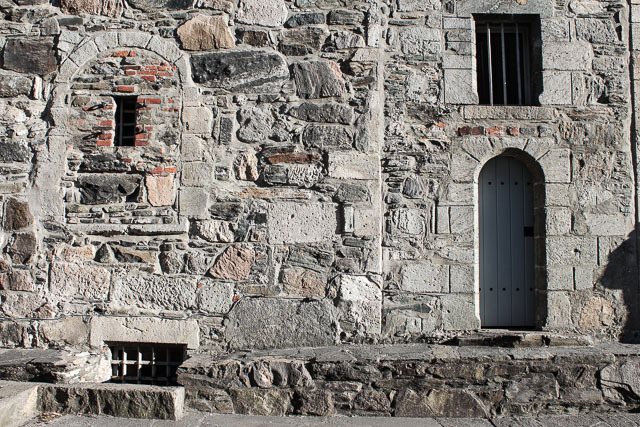 Visitors have a wide range of museums to peruse (I'm particularly interested to get back and explore the Leprosy Museum,) endless outdoor activities to try and of course, can explore the surrounding fjords. Our visit was short as it was really only a starting off and ending point for our Norwegian excursion and as we arrived over Easter long weekend, much of the city remained closed. We made the most of our time though and explored what we could of the area. A highlight was the trip up the Fløibanen funicular, a cable railway that takes visitors up the side of the mountain with fantastic views of the city. We lucked out with beautiful weather and clear skies and because we weren't in the thick of high season, it was relatively calm at the top. May 17 just happens to be Norway's Constitution Day. Back in 1814 Norway signed its constitution declaring it an independent state. The celebration is a big deal all over the country and unfortunately, we're missing out on it this year but we will certainly raise a glass to our adopted home while abroad! That view is gorgeous. I love reading about a place that not many others travel to. It's definitely on my list. Bergen seems to be such a beautiful city! I'm really glad to be able to move and live there soon! :) The view really is spectacular! Hello Jay! I found your beautiful blog through Bonnie Rose today and I have to say I'm smitten! 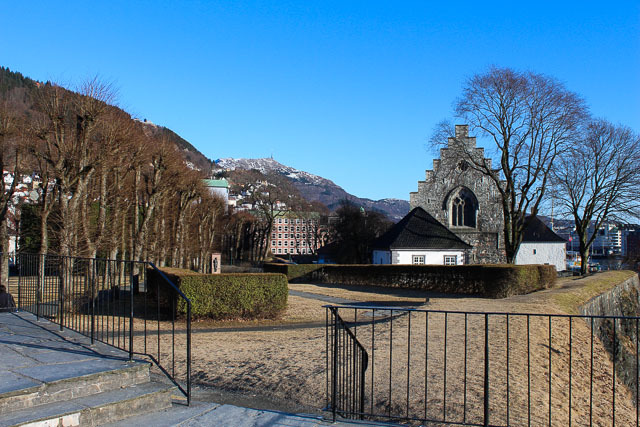 These photos of Bergen are lovely and inspire me to add the city to my list of must visit European destinations. Hopefully I'll be able to get here in 2013! Oh how beautiful. I have not made it to the west coast of Norway yet. I now know I def need too. The top photo with all the colours of the buildings is so beautiful. I bet it looks just amazing at sunrise/sunset. Lovely pictures! I'm still bummed we didn't make it there while backpacking through Scandinavia, Bergen has been on my travel wish list for ages! Just gorgeous - I've been dying to visit since I found Megan's blog. Great photos! Oh man this made me incredibly sad. I did my semester abroad in Copenhagen and didn't have the chance to go to Bergen because my friends preferred going to Oslo instead. I really regret it now, will definitely be nack to see the fjords!! Yes, you must come back and see Western Norway!